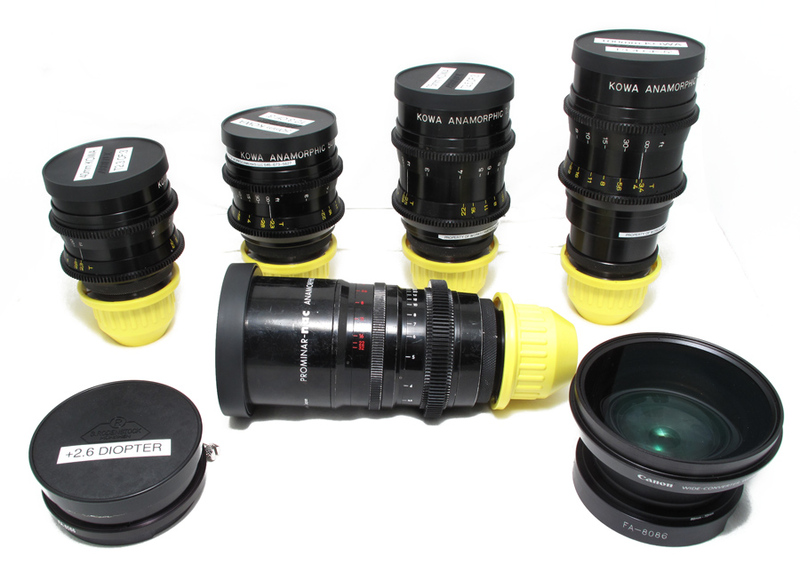 We have a rehoused set of Vintage Kowa Anamorphic lenses which have been professionally rebarrelled in Japan with new double sided bright yellow markings. Kowas have a beautiful look with expressive flares. The skin tones on these lenses are very true. 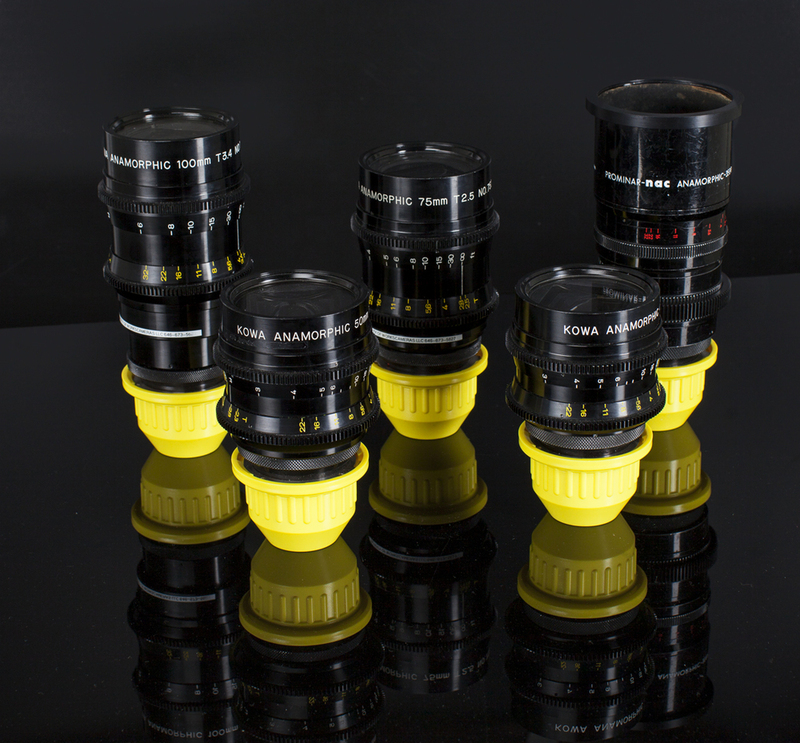 The lenses are very lightweight and easy to use for handheld or steadicam. This set is optically excellent and regularly maintained. Lenses were rarely used before we purchased them! Achromatic Diopter +2.6 PLUS 80mm Clamp ---- > CF 1.5 - 2.5 ft EXCELLENT EDGE TO EDGE SHARPNESS!